1Not available with special financing, lease and some other offers. See participating dealer for details. 2Not available with special financing, lease and some other offers. See participating dealer for details. 3Not available with special finance or lease offers. Take delivery by 04-30-2019. 4Must qualify through GM Financial. Not available with special finance, lease, or some other offers. Take delivery by 04-30-2019. See dealer for details. 5WHAT'S INCLUDED? Chevrolet 2-Year Scheduled Maintenance1 includes only the following: ? 2-year/24,000-mile Scheduled Maintenance (whichever comes first; up to a total of four service events): > ACDelco dexos1® Oil and ACDelco Oil Filter Change5 (excludes Spark EV) > 4-wheel Tire Rotation (excludes dual rear wheel vehicles, all Corvette models and select Camaro models - ZL1 and Z/28 models and 1LE package cars - due to their unidirectional tires; see Owner's Manual for details) > 27-Point Vehicle Inspection (MPVI) 6NONE 7Monthly payment is $13.89 for every $1,000 you finance. Example down payment: 4.3%. Must finance with GM Financial. Some customers may not qualify. Not available with lease and some other offers. Take new retail delivery by 4/30/2019. See dealer for details. 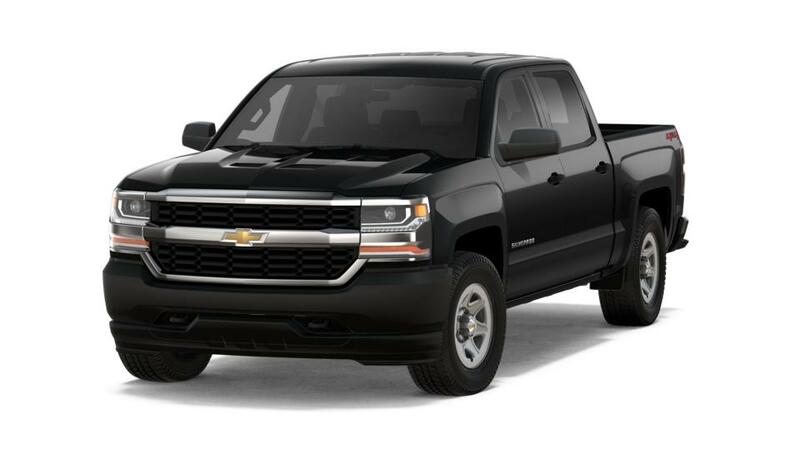 knows trucks and there's no other full-sized pickup truck more dependable than the . If you're shopping for a strong, reliable truck that's ready to work long days and keep you comfortable, the is designed with you in mind. There are almost endless options so you can get the perfect full-sized truck for your needs. From available class-leading towing capacity of 12,500 lbs to available built-in 4G LTE WiFi so you can stay connected, no matter where the road takes you. The also comes standard with a roll-formed steel bed that's crafted to be stronger yet lighter than the common stamped steel bed. The is famous for working hard and staying strong. But it's also growing a reputation for comfort. The interior cabin is incredibly quiet and spacious, allowing for comfortable commutes alone or with your crew. Want to see why the is a leader in its class? Take a look at our inventory online or stop by our Cherry Hill dealership for a test drive.